Letty Coppel Foundation held a keynote address aimed at older adults. This conference was particularly, for the grandparents who are benefited from the support programs provided by the Letty Coppel Foundation. 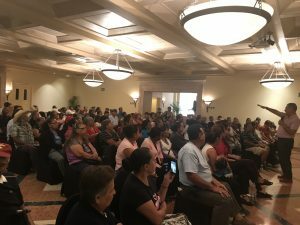 They traveled from different neighborhoods to attend and listen to this keynote address, which was imparted by the international speaker; Salvador Valadez. He mentioned very important aspects of the older adult’s daily lives, as they are the main pillars of their family, we thank them for instilling core values. They thanked Salvador Valadez for this conference, which was a great success. All the questions were very kindly answered, and the grandparents were happy and content.